#1 NYT-bestselling author Stephanie Laurens brings you a heartwarming tale of a long-ago country-village Christmas, a grandmother, three eager grandchildren, one moody teenage granddaughter, an earnest young lady, a gentleman in hiding, and an elusive book of Christmas carols. Therese, Lady Osbaldestone, and her household are quietly delighted when her younger daughter’s three children, Jamie, George, and Lottie, insist on returning to Therese’s house, Hartington Manor in the village Little Moseley, to spend the three weeks leading up to Christmas participating in the village’s traditional events. Then out of the blue, one of Therese’s older granddaughters, Melissa, arrives on the doorstep. Her mother, Therese’s older daughter, begs Therese to take Melissa in until the family gathering at Christmas—otherwise, Melissa has nowhere else to go. Despite having no experience dealing with moody, reticent teenagers like Melissa, Therese welcomes Melissa warmly. The younger children are happy to include their cousin in their plans—and despite her initial aloofness, Melissa discovers she’s not too old to enjoy the simple delights of a village Christmas. The previous year, Therese learned the trick to keeping her unexpected guests out of mischief. She casts around and discovers that the new organist, who plays superbly, has a strange failing. He requires the written music in front of him before he can play a piece, and the church’s book of Christmas carols has gone missing. Therese immediately volunteers the services of her grandchildren, who are only too happy to fling themselves into the search to find the missing book of carols. Its disappearance threatens one of the village’s most-valued Christmas traditions—the Carol Service—yet as the book has always been freely loaned within the village, no one imagines that it won’t be found with a little application. But as Therese’s intrepid four follow the trail of the book from house to house, the mystery of where the book has vanished to only deepens. Then the organist hears the children singing and invites them to form a special guest choir. The children love singing, and provided they find the book in time, they’ll be able to put on an extra-special service for the village. While the urgency and their desire to finding the missing book escalates, the children—being Therese’s grandchildren—get distracted by the potential for romance that buds, burgeons, and blooms before them. Yet as Christmas nears, the questions remain: Will the four unravel the twisted trail of the missing book in time to save the village’s Carol Service? And will they succeed in nudging the organist and the harpist they’ve found to play alongside him into seizing the happy-ever-after that hovers before the pair’s noses? Second in series. A novel of 62,000 words. A Christmas tale full of music and romance. Again a wonderful Christmas story where the main characters are children. Here Lady O is a delightful grandmother, a far cry from the grande dame who looks over the Bar Cynster. Her interactions with her grandchildren are well written and it is a pleasure to watch Melissa emerge in her own right. The romance is well-handled as is Richard Mortimer's embracing his new future. As with the previous Lady O book the mystery her younger grandchildren set their minds to solving, with the aid of their older cousin, is absorbing and innocent, as befits the ages of the detectives. I look forward to their further Christmas adventures. This is a story about grand-children visiting their grand-mother and solving a village mystery. A great Christmas gift for pre-teens. 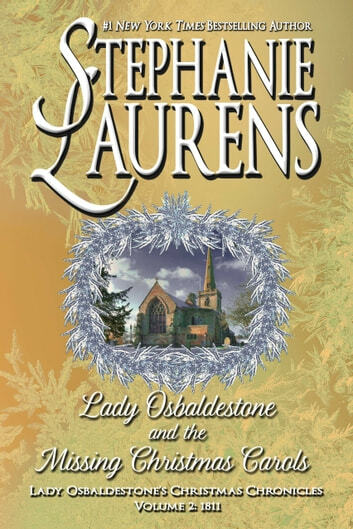 Lady Osbaldstone has always been one of my favourite of Stephanie Lauren’s characters. 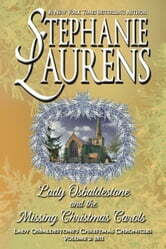 Another well written story, centering around Lady O, her penchant for matchmaking and her amusing grandchildren. This story is just as good as the first in this series. At first I couldn’t quite see how looking for a book of carols could be enough of a mystery to solve, but it was. The addition of the true identity of the new organist, forgetful characters who couldn’t remember when and where they’d had the book of carols, a tight deadline and a budding romance filled the story quite nicely. The four grandchildren of Lady Osbaldestone shared their talents and enthusiasm to the Christmas celebrations and the book hunt. A lovely story to enjoy in the lead up to Christmas.